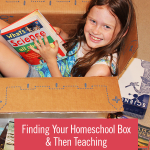 I read this article and wanted to share it with you: Finding Your Homeschool Box and Then Teaching Outside of It https://blog.sonlight.com/homeschool-box.html. 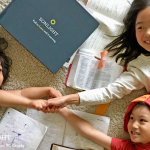 Nothing has taught me more about my children than homeschooling. No other situation or experience has given me such a close look at their personalities, likes, dislikes, passions, and frustrations. However, this lifestyle has also given me a closer look at how I'm wired too: I'm task-oriented. I want to know the goal. I want the game plan up front and broken down into predetermined action steps. I want a list with pretty boxes to check off. Not only do I love those neat and tidy boxes on my list, I also like to fit inside “the box.” I like to know my place. I like to know where my piece fits in the puzzle. To me, “the box” gives meaning. The box helps me understand myself. 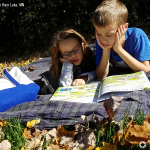 We just finished our third year of homeschooling, and I've come to learn that though homeschooling is outside of the box for many, it is still a world full of its own type of boxes. Oh, how I'd love to squeeze us into one of those easy-to-understand categories and simply be able to say, “We're classical!” or “We unschool” (which is another box entirely)! 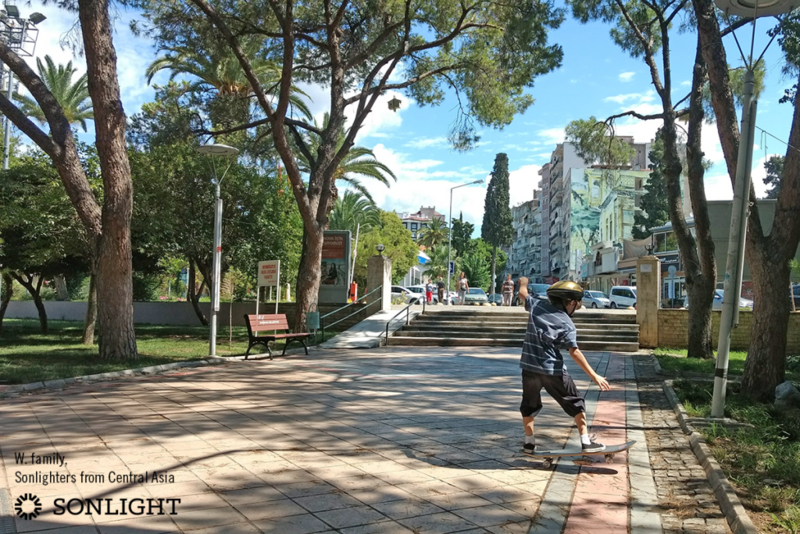 But when you homeschool overseas with hardly any other homeschoolers (not to mention a useable library) in sight, those preconceived boxes become meaningless. You're faced with the task of creating a brand new box. 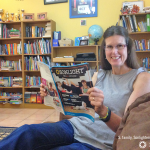 So what does our expat homeschooling look like? 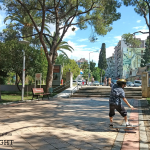 In a nutshell, it is a classically-bent, unit-study-loving, interest-led-when-applicable, worldschooling-when-there's-opportunity, semi-year-round-depending-on-our-travels, unschooling-on-the-tough-days kind of homeschooling. On paper, it's enough to make my list-loving self completely lose it. How could a box-checker ever thrive in such a situation? 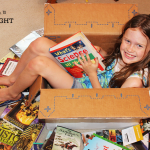 Moving overseas, homeschooler or not, makes all your preconceived boxes null and void. Believe me, it's a painful learning process. But I know I'm a better person for it—definitely a better homeschool mom for my kids who have never lived long term in the American, box-driven, list-checking culture. All together we can explore the fact that learning comes from life, not a list. The first thing that appealed to me about Sonlight (after the amazing books, of course) were the Instructor's Guides (IG) with beautiful boxes to check off every day. Here is a curriculum that is one big list. But no matter where you live, life never goes according to plan on a daily basis. There are places to go, people to see, bad attitudes to suffer through—all things that could potentially dismantle a day. To counter this, I reinvented my box. Instead of a daily schedule, I shoot for a weekly list. For example, an assignment scheduled on week 14 day 1 of the IG could get done at any time during week 14. To zoom our schedule out a little more, we take a week off after every six weeks. So if that science experiment (a.k.a. the bane of my existence) assigned during week 2 doesn't get done until week 5, I can still function. I can still see our progress. I can still fit it in my own reconstructed box. The danger of boxes is that we too easily fear what's outside of them. And once we stumble upon someone who claims to be sharing our same box, we start comparing. Teddy Roosevelt said, “Comparison is the thief of joy,” and I think where homeschooling is concerned, truer words have never been spoken. Even if we were doing the exact same curriculum but were still living in the States, our experience would look vastly different. 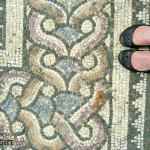 Sometimes, my mom-guilt kicks in (I know you can relate) and unkindly highlights ways that our situation is robbing my children of opportunities. However, when I have more clarity, I'm able to see how our current life offers experiences the vast majority of their American peers will, perhaps, not ever have. 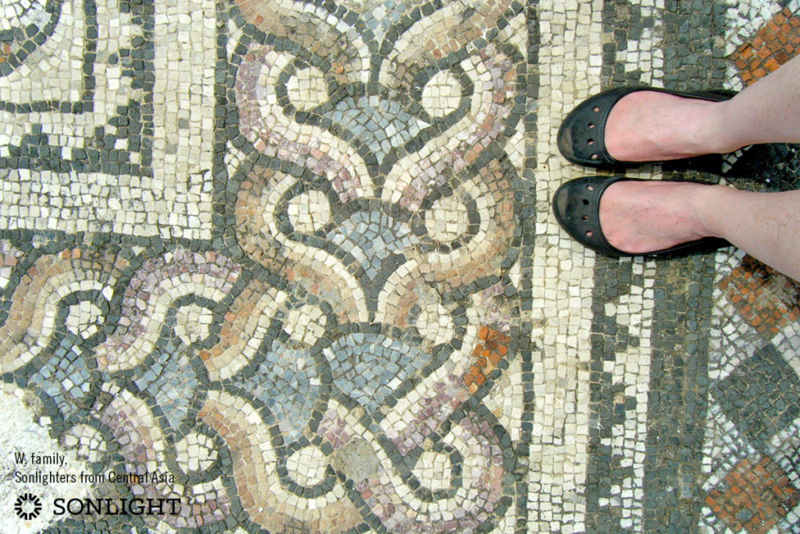 World history and the Bible come alive when you call an ancient city home. A slower, simpler life gives them the gift of a longer childhood. Being constantly surrounded by people who look, speak, and think differently than they do is growing my children's hearts and minds in ways that I probably don't even realize. A mom who is able to relax her box-boundaries and put aside her pretty lists is one who can encourage her children's unique personalities to flourish. Some days, I still long for my list on pretty stationary inside my box, wrapped up in a cute ribbon. But these days my box is bigger and the sides are pretty beat up from being cut open and crudely taped back together in different shapes over and over again. There's no need to wrap it up in a pretty ribbon when I know I'm going to end up reshaping it soon anyway. I've even poked a few air holes in the sides for good measure. 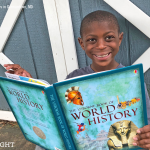 I love where our homeschooling journey has brought us thus far, and I'm very much looking forward to see where it takes us from here. 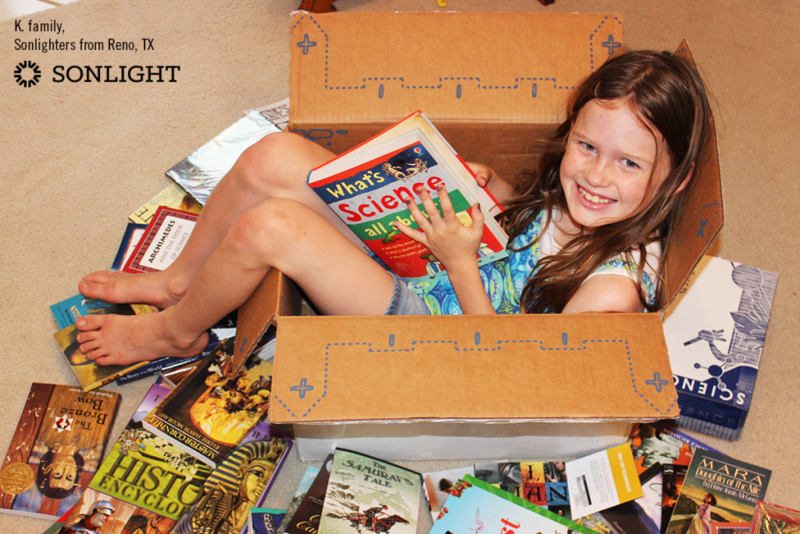 Sonlight gives you options for creating a unique homeschool experience that fits you! Go to SmoothCourse and get started today. Andie, I love this so much! I love the idea of doing science over the summer. My husband is a teacher and we take a typical summer break. I could easily create a summer schedule for science and even art. I MEAN TO catch up on experiments every summer, but I don't. Maybe if I schedule it for myself, I wouldn't treat it like it is optional. My husband is usually home on Wednesdays and he'll usually take on the bulk of the weekly science time for me in that day! It can't happen every week, but I'll take all the help I can get there!